”I got veneers done recently and they look amazing. 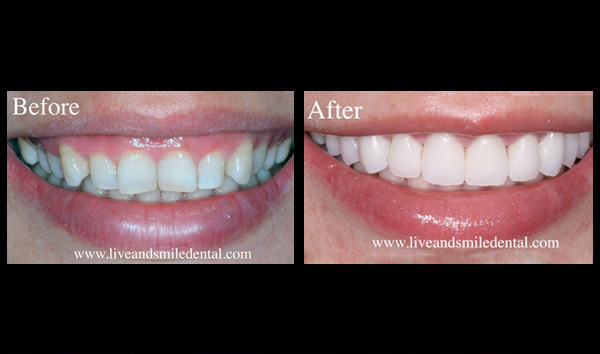 I highly recommend Live & Smile Dental & Orthodontics. 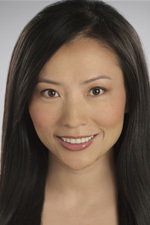 Dr Huang and her team are friendly & efficient. 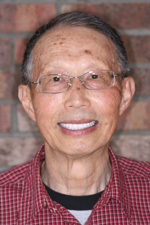 Dr Huang really cares about how you feel about your teeth and lets you make the decisions, which I liked. The process was simple and not scary. Don't make your choice based on price, you get what you pay for. 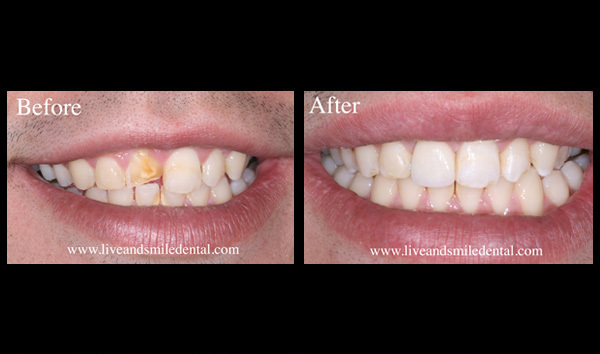 Now I feel so much more confident with my beautiful teeth, I am very satisfied with the results. Thank you so much Dr Huang!! 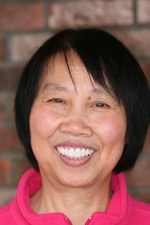 !” — Ying H.
”I chose Live and Smile Dental because of Dr. Zoe Huang's ability to perform the tooth implant procedure in office. 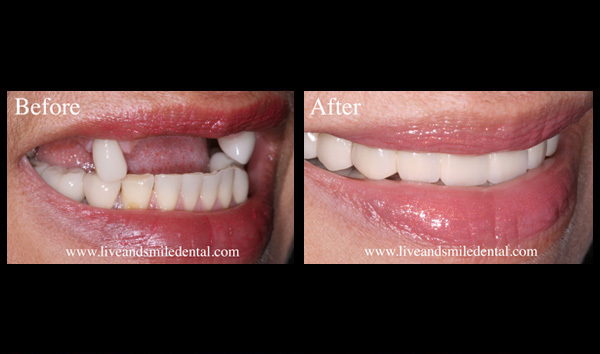 The implant turned out great, and then I decided to get a full smile makeover using veneers. In total I got 19 teeth done. It was a big decision for me, and I am very happy with the results. Dr. Huang takes the extra time to make sure everything is perfect. She wants to be as happy with the final result as you can!! 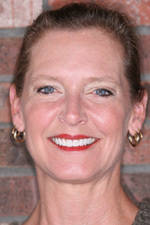 Her staff is great too!” — Karri B. ”Top Cometic Dentist! My teeth were crooked and yellow before. I did not want to have Invisalign or braces. 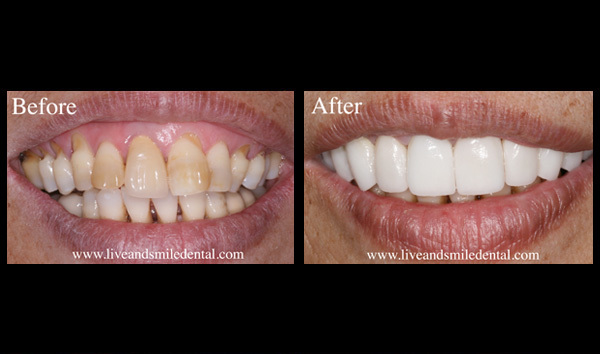 So I choose veneers to enhance my smile. 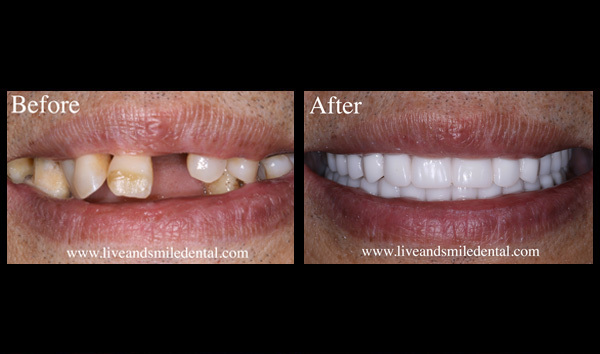 Dr. Zoe Huang took lots of time and efforts to design my smile. She paid great attention to details when it came to choosing the best color, shade and shape of teeth to match my face and features. I am so thrilled with the final results! They are beautiful and look very natural, like my own teeth. I got lots of compliments on my new smile. 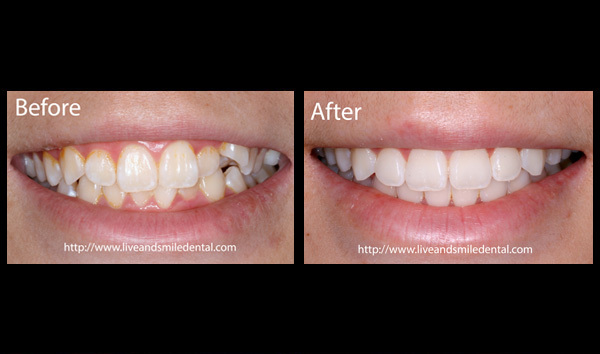 If you'd like to have whiter and straighter teeth, I would highly recommend Dr. Zoe's Veneer smile makeover!” — Jordan H.
”I have to say that before visiting this office I had a dreadful fear of dentists and that fear contributed to the condition I was in by the time I found Dr. Huang. Unfortunately for me, I had to have all of my top teeth removed. But I must say that working with Dr. Huang and her team alleviated my fears and by the time I had to have the procedure performed, I was totally at ease. I surprised myself. 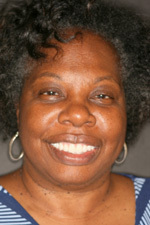 Needless to say, I don't care for dentures (this is temporary) but I get many compliments on my new teeth. 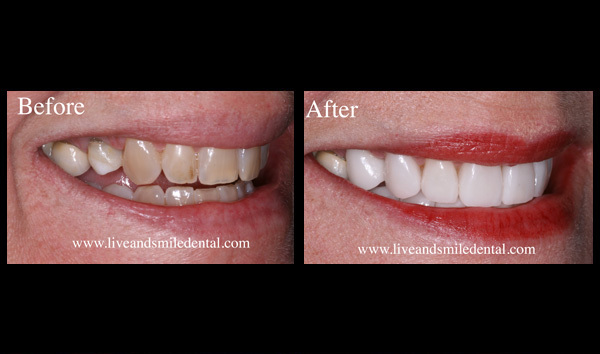 I must also add that the entire team is very friendly, patient and take pride in their work.” — Valeria M.
"The teeth anchoring my old upper horseshoe bridge were deteriorating, and the bridge was lose and falling. I did not want a plate. Implants were the only other solution. I received excellent treatment from Dr. Zoe Huang and her team from beginning to end. They were very understanding of my self-consciousness. The implant experience was better than I expected. 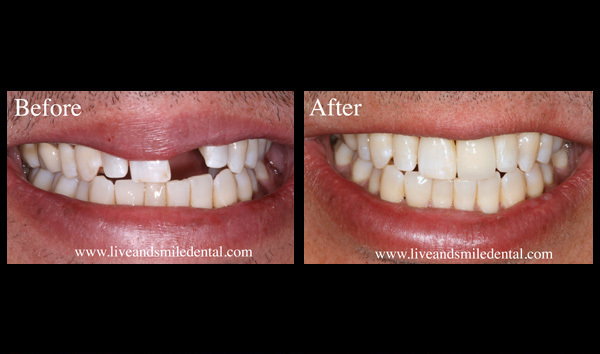 If it had not been for the extraction of teeth, I would not have experienced pain. I am pleased with the look, fit and feel of the final product. 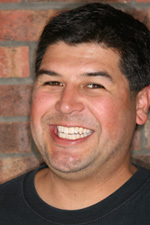 For those who need a similar treatment, I would heartily recommend Dr. Zoe Huang and this treatment." ”Having been through some bad experiences with other dentists through out my life, I typically shied away from going to see a dentist. 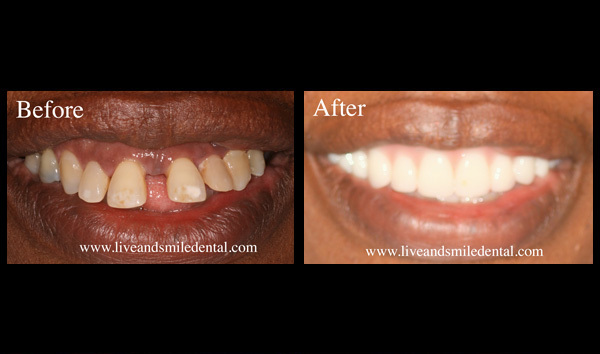 Over time, my teeth and gums got so bad that I knew I had to do something not only for my health, but also for my self confidence! So I set out on a two week journey to find the right dentist. I was looking for someone who had the technical expertise and skill, the experience and success in doing surgery and implants. More importantly was the ability to deal with the human side; the emotions that a person goes through when they have been through bad experiences with other dentists to know how they are feeling about themselves when they do finally come in. So getting acknowledgment and understanding for that was just as important as getting the dental work done. 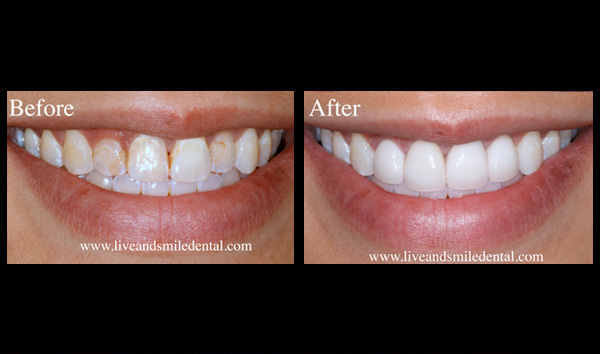 After reviewing dental practices in Walnut Creek, Danville, San Ramon and Dublin, I finally selected Live & Smile Dental & Orthodontics. When I arrived for my first visit and consultation, they did not disappoint! Not only was Doctor Zoe and her staff easy to talk with, they also demonstrated their expertise in the latest dental techniques. After my first visit, when I came in they always saw me in my future state, always positively reinforcing to me the vision that they saw for my future smile. They were always excited to see me. With them you're not just a patient, you become part of their family. 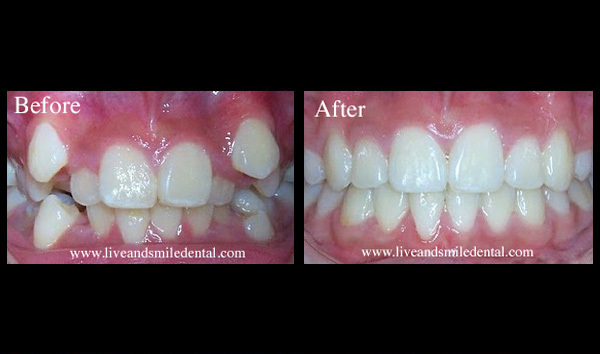 ”Alice came with her mom, wanting to improve her smile. 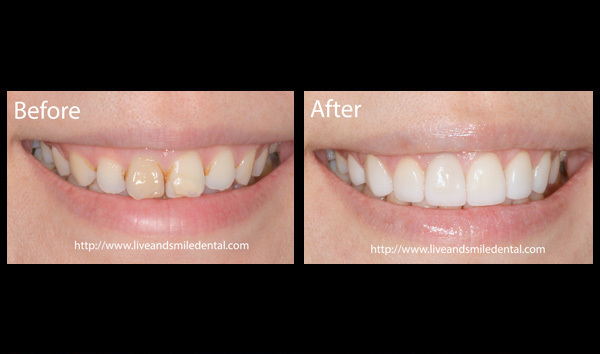 During Alice's braces treatment, we were so happy to watch her grow into a beautiful and confident girl! She's definitely ready to show off her smile at her prom! 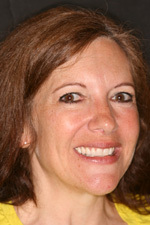 Janice was embrassed about her smile due to her crooked teeth. 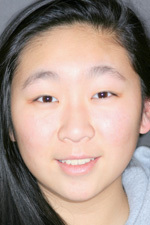 The braces have dramatically transformed her smile and improved her self-esteem and confidence. 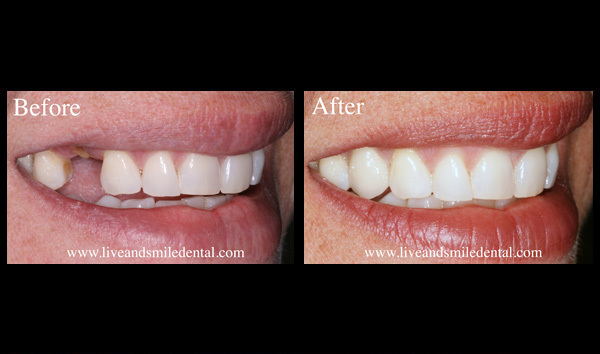 Julie came to us because she wanted to improve her smile. 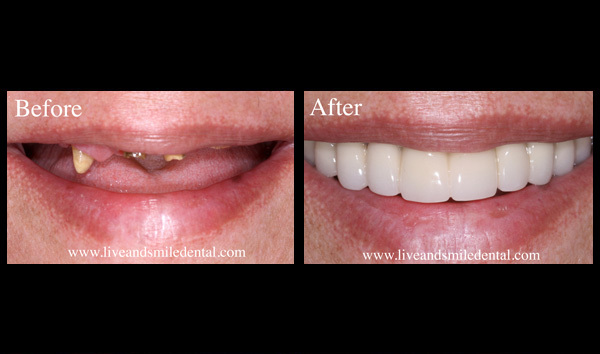 Her invisalign treatment finished beautifully. Now she's smiling much more than before. She shared her experience on Google+. ”I've always wanted straighter and whiter teeth. 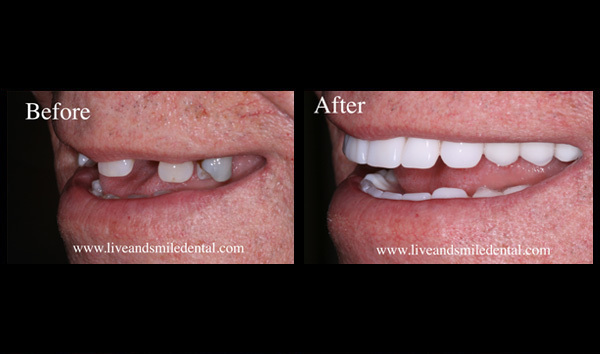 I never thought Invisalign and veneers could help me as I'm already 68 years old. 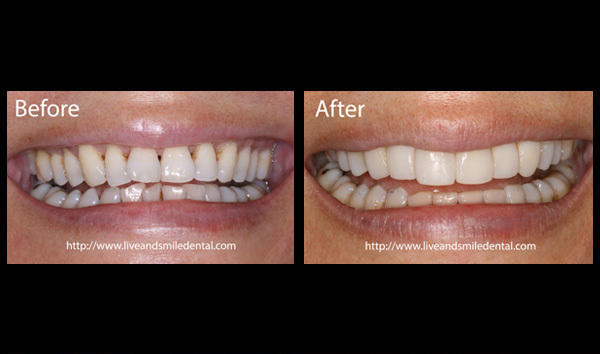 The results have been amazing after Invisalign treatment with Dr. Zoe. I feel better about myself and more confident when I smile! 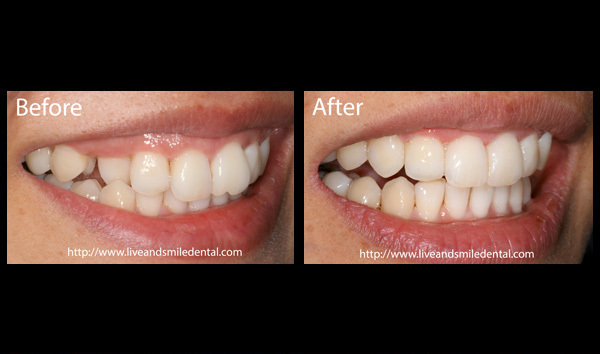 I also got my veneers done to further improve the condition of my teeth and make them permanently whiter.